After the developers of Fortnite took legal action against the organisers of a disastrous live event based on the computer game, businesses should understand their legal options if a third-party has caused reputational damages to their brand. Before July 2017, “Fortnite” was a misspelling. Under two years later and it represents a global phenomenon, inextricably interwoven into popular culture through its mass appeal amongst the gaming generation and ability to carry equal credibility in the world of the celebrity as it does in the school playground. It is also seriously big business. Fortnite owes its popularity in part to the fact that the majority of the games are free to download. However, its creator, Epic Games, possesses a virtually inexhaustible golden goose in the form of in-game purchases that enable players to customise the visual appeal of their characters. Epic Games is understandably coy as to its value but with hundreds of millions of players worldwide, revenue from in-game purchases and advertisements was understood to exceed $1bn before its first birthday in July 2018. Given these numbers and its mass-market appeal, it is unsurprising that others have sought to benefit by association. Amongst these was UK SME, Exciting Events Limited. 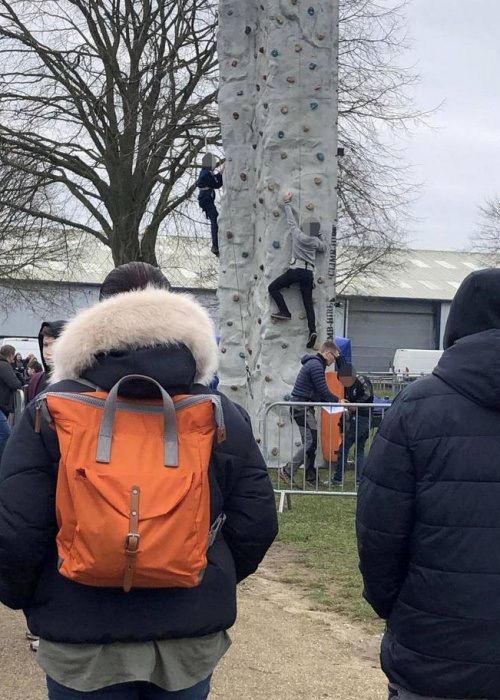 In February 2019, it organised Fortnite Live: Norwich, a family day out piggybacking on the brand’s success. Unfortunately, bad execution led to disastrous reviews and the East Anglian funfair making international headlines for all the wrong reasons including comparisons with the pinnacle of failed events, the Fyre Festival. Exciting Events quickly deactivated its Facebook page and cancelled two upcoming Fortnite Live events. No doubt, it believed that whilst wounded, it would live to fight another day. However, as in the Battle Royale game itself, a bad plan costs you dearly. Exciting Event’s fatal flaw was their apparent misbelief that the free to download nature of the game meant that they were entitled to associate with it without first seeking permission and, if required, paying for that privilege. Unsurprisingly, the fallout has seen Epic Games swiftly making clear that it was not associated with, and did not authorise, the event. Taking the fight to Exciting Events further, this was backed up with a legal claim in the High Court. Given their prevalence in the public domain, it is perhaps easy to forget that legal rights attach to the names and imagery featuring in games like Fortnite. The temptation to utilise them as an opportunity to profit is understandable but, as Exciting Events has now found out to its cost, whilst the in-game Fortnite world is one of fantasy, the rights underpinning it are anything but. In much the same way as entities are entitled to protect and enforce their rights in tangible property, Epic Games holds intellectual property rights in the images, names, logos and goodwill derived from Fortnite. Underpinned by these, Epic’s claim likely alleges that Exciting Events infringed its copyright and/or trademarks in addition to ‘passing off’ its event as associated with the brand. Not for Exciting Events. Unfortunately, it cannot pay damages in V-Bucks (the in-game currency of Fortnite) and has paid the ultimate price, entering into liquidation. Exciting Events is not the first company to make this mistake. In the gaming context alone, cases have hit the news where Pokemon and Mariokart’s rights holders successfully secured a judgment against the organisers of events in the USA and Japan. Whilst the largest of the two awards was only around £65,000, it demonstrates that the owners of the equivalent of Jack’s magic beans will pursue legal action to enforce their rights in the resulting beanstalks even where the financial incentive is minimal. However, some tales have a happy ending. In 2016, Nickelodeon’s threat of an injunction was sufficient to cause the Greene King pub chain to cancel a series of Paw Patrol themed breakfasts. However, less than a year later, with appropriate authorisations from Nickelodeon, the companies successfully organised a joint UK-wide campaign. As this shows, with appropriate planning and agreement, UK businesses can properly collaborate with rights holders and share in the potential riches on offer.